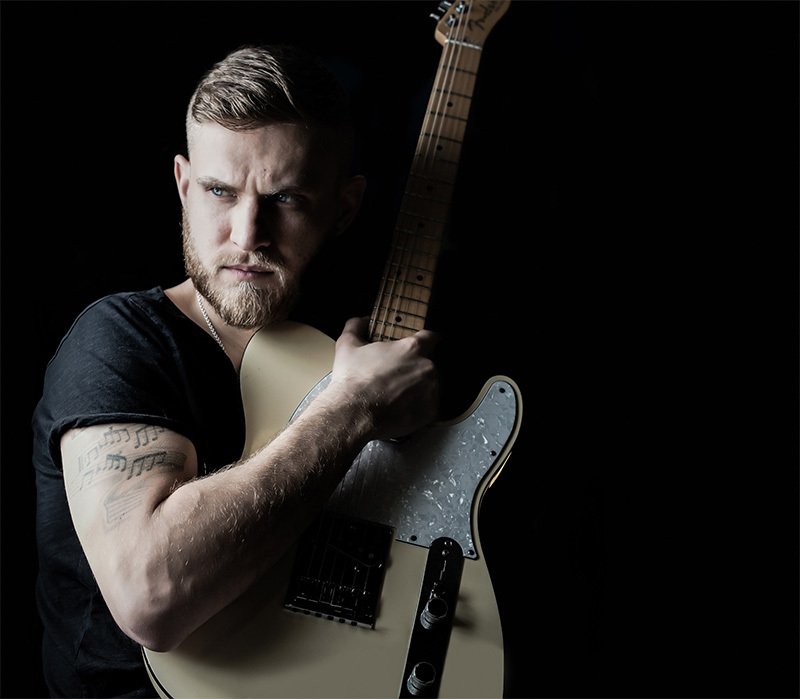 British blues rock guitarist Ben Poole seems ready to break out. 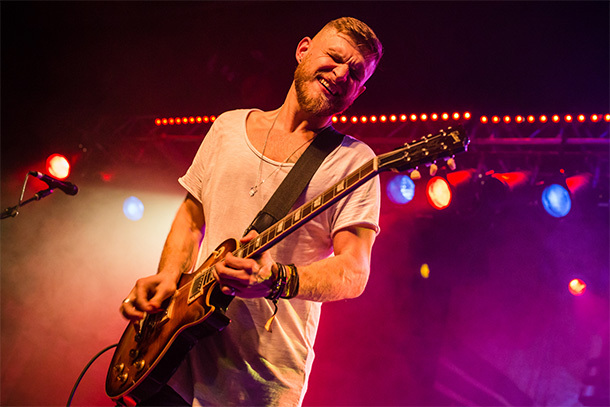 Poole was recently named one of 10 acts to watch under the age of 30 in blues rock. On September 14th, Poole will release Anytime You Need Me. Blues Rock Review’s Clive Rawlings caught up with Poole to discuss the album and more. Thanks for taking time out from your busy schedule, understand you’re off on tour again? I’m actually at home right now. Just flying to Italy this weekend to play a festival in Naturns but then have most of August off working on album promo and shooting two music videos, rehearsals and other prep for album and the big tour which starts in September and runs until December with around 60 shows across 14 countries. It’s been a crazy few years. I’ve been very lucky, have worked very hard and have had a lot of fun travelling the world playing the guitar, meeting some awesome people, seeing some amazing things and building a great fan base internationally. It all started for you, I guess at the BIMM (British and Irish Modern Music) Institute in Brighton, can you explain the process? I moved down to Brighton straight out of school to do a degree in music and spent 3 years there honing my skills and my craft. Though I never had to use that physical piece of paper with BA (Hons) on it, the knowledge gained has been invaluable and the whole process allowed me to focus on what I wanted to achieve in life. Although not your home town, you base yourself in Brighton, even managing to share the stage with the late, great Gary Moore, how did that come about? I first met Gary Moore when I played with Jeff Beck and he was in the audience. We went out for a few beers and had a good chat, and then hung out again at Jeff Beck’s birthday party backstage at The Brighton Dome. Was a crazy party with Jimmy Page, Imelda May, Gary Moore, Jeff and his all-star band (Vinnie Colaiuta, Tal Wilkenfeld & Jason Rubello), Chris Difford from Squeeze and many more legendary names in the music business. A few months later (and only maybe 4 months before he tragically passed away) Gary came out to a show I was playing at a small bar in Brighton and I asked him to come up and play. He came up and we played 3 songs together, which was an absolute dream come true as a massive GM fan since an early age. I’ve since become friends with his brother Cliff Moore and have been involved in the Gary Moore Memorial Tribute Show held in Budapest, Hungary the past 2 years. So, fast forward to your upcoming album, I read that you’re excited about it, obviously, but why does it stand out from your previous work? It must have been amazing to work with such a class producer/drummer as Wayne Proctor? I’m excited about this album for a number of reasons. The whole process was very different from the previous Time Has Come album and I feel these changes that were made have had an extremely positive effect. I knew I wanted to work with Wayne again as producer as he knows me well as an artist and a person and we knew we could push ourselves even further this second time around working together. The approach we decided to take this time however was very different. Rather than writing with multiple different song-writers or bringing in various songs and working them out as we recorded them, we decided to write the whole album within our tightly knit team of Wayne, Steve Wright and myself. We meticulously crafted every part of every song from the bass, drums, guitar parts, lyrics, melodies and harmonies. This was extremely time consuming and a lot of hard work, but also a lot of fun because the 3 of us had a great chemistry and a lot of respect for one another. Ben Poole is set to release Anytime You Need Me on September 14th. As well as keeping the writing team small, we also kept the recording team small. On the Time Has Come album there were 2 drummers, 2 bass players, 2 keys players, and a host of percussion etc going on. This time it was just Wayne on drums, my touring bass player Beau Barnard on bass guitar, Ross Stanley on keys and myself. I did all the BV’s this time around as well, whereas Stevie Nimmo did them on the THC album. As a result, I think this album has a lot more of a consistent direction and overall sound. Apart from two covers on the album, a guy by the name of Steve Wright is credited with songwriting with you, a name I’m not familiar with, can you enlighten us? Steve Wright has been in the songwriting game for a long time working with the likes of the BBC, ITV, Channel 4, Universal and many more. He’s written music for shows like Brookside, Grange Hill, Hollyoaks, Moving On and many more. He’s also mixed a tonne of albums with Wayne Proctor – King King, Oli Brown, Aynsley Lister, etc. The choice of covers, to my mind, is excellent. Rather than run of the mill tracks, you’ve gone for Don Henley’s “Dirty Laundry” and a rather obscure track from the ’80s (which unfortunately I’m old enough to remember!) Jude Cole’s “Start The Car,” how did that one come about in particular? I’ve always been an Eagles and Don fan, but it was not my idea to cover this song. Steve and Wayne were the ones to suggest this song and Steve also pointed me in the direction of the Jude Cole song. I’d never actually heard of Jude Cole until this point but loved the song instantly and knew we could do something stripped back and cool with it. Which track on the album made you sit up, rub your hands and make you say, ‘I’ve cracked it’! Well, we had actually already demo’d all of the songs up to a very high standard already at the writing studio in Wales so most of these “eureka!” moments actually happened out there. Definitely when Wayne, Steve and I had our first writing session back in August 2017 and wrote our first 2 songs towards the album; “Take It No More” and “Further On Down The Line” there was a sense of huge achievement and realization that we were onto something there with that team of songwriters together. I think when “Found Out The Hard Way” began to shape up it was a pretty emotional moment for us as well as that song is so weighty and deeply emotional melodically and lyrically. What I’ve noticed about the album is the balance of tempos, emotional and lyrical content and instrumentation, this was presumably a conscious effort? One of the main reasons for this is that we were going backwards and forwards between the recording studio and the writing studio. This meant that we could actually 100% see how the album was shaping up and address anything that we felt was missing by writing songs to counteract this on the next session. We’d recorded half of the album before we’d even written the second half so we knew what we needed to write next to balance things out and keep the tempos, feels, rhythms, tones, lyrical content, arrangements, etc different. You’ve played a couple of festivals in the States, how did these come about and what was the reaction? I’ve been out to the States to play 3 times now and it’s always been absolutely amazing. Hopefully I’ll get back there for longer next year and stretch out a little bit into some new States and cities. The first time I went was back in 2013 to play a festival I’ve now been involved with a few times called “Playing With Fire Festival” in Omaha, Nebraska. The promoters of this festival saw me play in Berlin back in 2012 when I was representing the UK in the European Blues Challenge. We came 3rd out of 19 countries which I am still very proud of. Out of this show I also gained my amazing agent for Germany/Austria/Switzerland Florence Miller at FMA who represents some of the best blues/rock artists in Europe/USA. Your endorsements from your contemporaries reads like a ‘who’s who’ of exceptional artists, without wishing to embarrass you, who was your favorite musician growing up? For the guitar geeks out there, what equipment do you use? Fender Telecasters. Gibson Les Paul. 1974 Fender Pro-Reverb Amplifier and Hamstead Amps. Ernie Ball Strings. Cordial Cables. Gig Rig pedal switcher. Pushking & Big Knob pedals.